J. Warren Young, who helped generations of young people discover the joys of reading in his 32 years as publisher of Boys’ Life magazine, died March 20, 2018. He was 79. 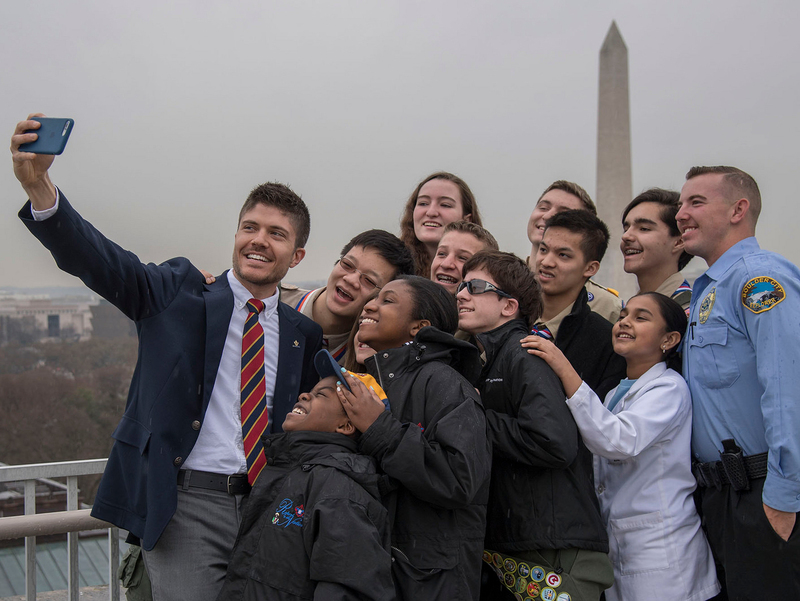 As publisher of Boys’ Life, the Boy Scouts of America’s award-winning publication for youth, he showed young people that reading can be empowering, engaging and exciting. Young saw books and magazines as doorways to a new world. He promoted literacy by providing material that young people actually want to read. In 1990, Young and Boys’ Life partnered with the Bank Street College of Education in New York to introduce the Bank Street Classic Tales. Four times a year, readers were taken around the world on thrilling adventures. In these comics, they met Gulliver in the imaginary kingdom of Lilliput, Don Quixote in Spain and Marco Polo in ancient China. Young people were having too much fun to realize they were reading and learning about history. In 1987, Young and Boys’ Life launched “Drugs: A Deadly Game!” to educate young people about the dangers of drugs. Young helped educate young people about the dangers of drugs. In 1987, he partnered with Coca-Cola to develop “Drugs: A Deadly Game!” — a program that has reached more than 20 million young men and young women. Young also served as publisher for Scouting magazine, which is sent to nearly 1 million adult leaders in the BSA, and Eagles’ Call, the official magazine of the National Eagle Scout Association. Young was born on March 10, 1939. He earned a Bachelor of Arts degree from Harvard University in 1961. He then received a Master of Business Administration degree in marketing from New York University. After graduating, Young held a number of positions in the publishing field, including jobs with Doubleday & Co., Kids magazine, Random House Inc., Time Inc. and many other top publishing houses. Young began his career with the Boy Scouts of America in 1981. During his more than three decades at the helm of Boys’ Life and Scouting magazines, Young guided these publications through the ever-changing landscape of print journalism and helped launch the magazines’ robust digital presence. In addition to his efforts to promote literacy and fight illegal drug use, Young helped expand the reach of Boys’ Life by introducing demographic editions. Boys’ Life publishes two variants: one edition for Cub Scout-age subscribers and another for Boy Scout-age readers. In January 2002, Boys’ Life added editorial refinements including a new logo that replaced the logo in use since 1977 and a different, age-appropriate contents page to introduce each edition. Beyond his formidable skills as a publisher, Young will be remembered for the way he cared about his colleagues at the BSA. “Those of us who were fortunate enough to know and work with Warren came to love his warmth and humor and gained a deep respect for his work ethic and business acumen,” said Stephen Medlicott, Group Director of Marketing and Communications for the BSA. Young served as publisher until his retirement on July 1, 2013. Rain or shine, Warren Young enjoyed attending BSA events and interacting directly with Scouts. At the 2013 National Jamboree, he swapped stories and patches with fellow BSA professional Bart Green. Young is survived by his wife, Cornelia; daughter, Wendy; and son, Chris. In Young’s memory, Boys’ Life and the BSA have announced the creation of the J. Warren Young Literature for Disadvantaged Youth Fund. Continuing Young’s legacy of promoting literacy in young people, the fund will provide BSA magazines, handbooks and other literature to young people in need.